It’s a fact—strength and weight training go hand in hand. We’ve created go-to areas for our members that are looking to do both. From our free weights and weight lifting equipment to our selectorized equipment for resistance training, there’s always something to do. Plus, if you need any help, you can always ask a staff member or sign up for your annual KickStart session for easy tips! 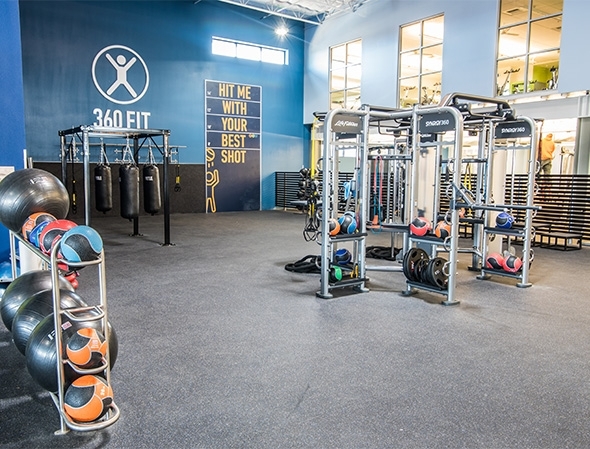 Here at In-Shape, we have a variety of free weights and resistance equipment to choose from for all of your strength and weight training needs. Our resistance machines give your body control of a wide range of motions, while isolating core muscle groups and making your strength and resistance training a breeze. Take your workout up a notch with TRX®, an intense strength and weight training workout that'll leave you feeling stronger and healthier every time. Choices, choices -- we offer a wide variety of Strength classes that are sure to tone every major muscle group in your body. Sculpt, tone and strengthen your entire body by challenging all of your major muscle groups with a Les Mills BODYPUMP® class. 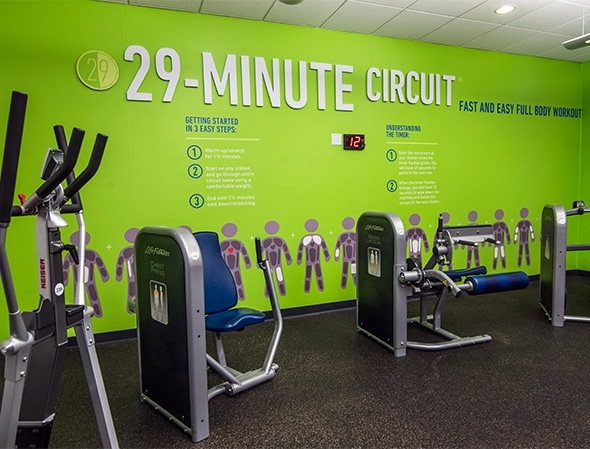 29-Minute Circuit® is a 13-station workout routine that combines resistance training with aerobic exercise to give you a total body workout in less than 30 minutes. Tackle your fitness goals and be the best you with help from one of our certified personal trainers. "I enjoy the feeling of accomplishment that pushing yourself to your limits creates, and I love to instill this same feeling in my clients. I genuinely enjoy helping people, and feel honored to be able to do that on a daily basis."